FRP Vessels provided by us boast of a robust construction that stands the test of time, even in the harshest conditions of usage. 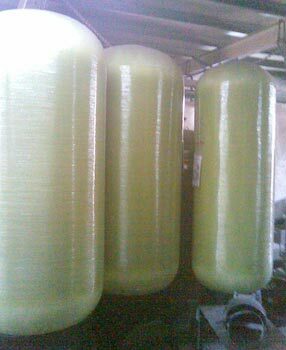 A wide range of pressure tested Frp Vessels is made available by us, which is imported from the renowned names in the industry. We are recognized amidst the prominent FRP Vessels Exporters and Suppliers due to the quality that we bring forth. Exhibiting features of supreme chemical and corrosion resistance, withstanding high pressure and durability, these are highly demanded in Pharmaceutical, Textile, Paper, Dairy, Food and beverage industries.